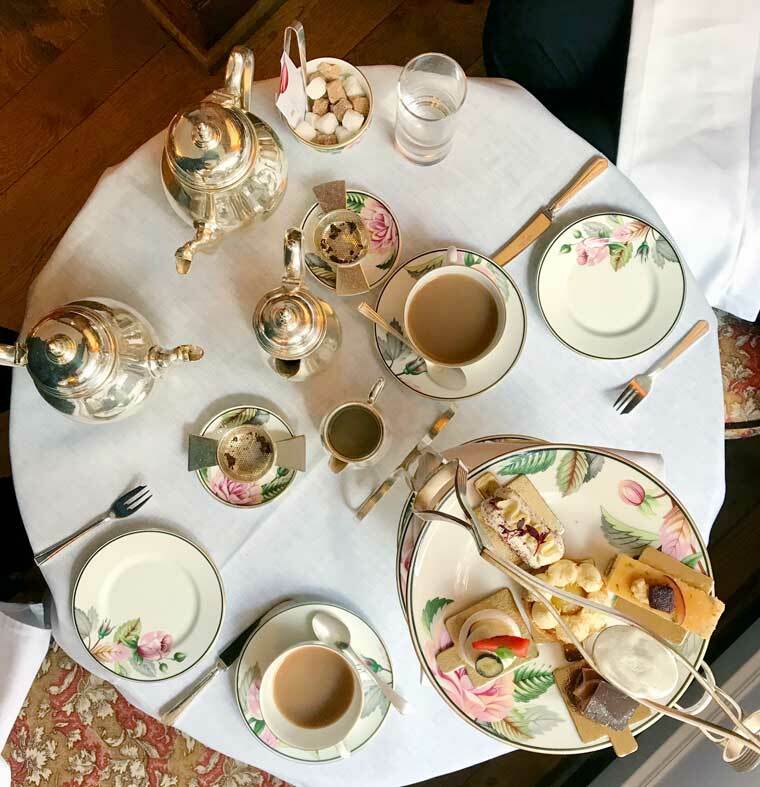 The English Tea Room at Brown’s Hotel in London offers a traditional and cosy afternoon tea in a venue steeped in history. A short walk from Piccadilly, Fortnum & Mason’s and the famous Burlington Arcade, Brown’s Hotel stands discreetly yet proudly on an expensive street in Mayfair, central London. Its neighbours are Tiffany & Co, the Royal Institution and countless high-end fashion stores. You need to be dressed well to even walk down these elegant streets, but as we were in our smart casual attire the hotel requests for its visitors, we did our best to blend in. We were welcomed by a friendly doorman who directed us through to The English Tea Room and our table which was nestled in a corner by bookshelves lined with PG Woodhouse and art books. With open fires flickering, the ting of cutlery on crockery and the soft murmur of conversation, it felt a cosy and intimate setting. Apparently, the hotel was the inspiration for Agatha Christie’s novel ‘At Bertram’s Hotel’. Christie’s character Miss Marple noticed the ‘traditional décor, impeccable service and an unmistakable atmosphere of danger behind the highly polished veneer’. Well, I definitely noticed two of those things. The traditional décor is illuminated by modern chic touches. Black and white landscape photographs and portraits look elegant on the walls and bold ceramics stand on the window sills. The tables are also dressed well with white linen table cloths and napkins. The Wedgwood bone china has a contemporary flower design and the tea pots and milk jugs are elegant silver. It’s a beautiful venue with beautiful tableware and a calm atmosphere, a perfect mix as we started our treat of afternoon tea. 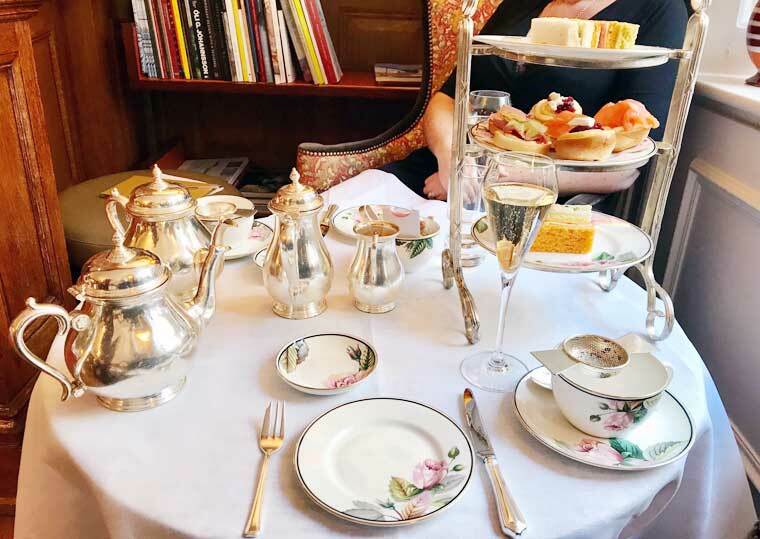 As we sipped a shot of refreshing blackcurrant and hibiscus tea, our waiter Lorenzo took us through the menu and introduced us to a brilliant concept – Brown’s Tea-Tox Afternoon Tea. 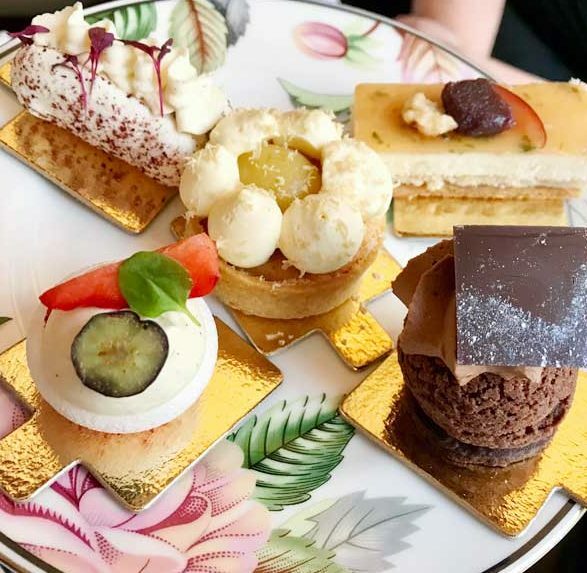 As we all know, a traditional afternoon tea can sometimes/often leave you feeling delightfully full, as well as it being a big dose of sugar. Tea-Tox takes away the guilt, and a lot of sugar, but none of the tradition. No gluten, with natural sugars and the scones are replaced by seasonal fruits and dips. Admittedly, we chose to have the full-fat, full-gluten afternoon tea but it’s great to see that Brown’s is catering for all who want to indulge in the afternoon tradition. Normally I’m distracted when eating the savouries as I can see the sweets and scones looking lovely on the other layers of the tea stand. So I was secretly pleased when the finger sandwiches came out on their own silver stand, no tempting distractions. The hummus, beetroot and goat’s cheese on potato bun was yum and I loved the salt beef, horseradish mayonnaise and pickled cucumber on a mini bagel. The sweet treats came out when all the (second helpings, very telling) of sandwiches were finished. The scones were just right, warm, not too big and had a really nice glaze on them. Jam was really runny (and yummy) so cream first, the first afternoon tea I’ve had where there were no discussions over the correct order of silver-spooned dollops onto the scones. Phew. Brown’s Hotel has some serious English, and international, history behind it. It was London’s very first hotel, opening in 1837, the same year that Queen Victoria succeeded to the throne. What provenance in a city with now over 70,000 hotels. Many famous and important faces have stayed and dinned at the hotel – Victorian writers Oscar Wilde, Arthur Conan Doyle and Bram Stoker just three of the regular visitors at the time. The hotel was even the location for the first phone call in Europe by Alexander Graham Bell while he stayed. The first meeting of BAFTA (British Academy of Film and Television Awards) was held at the hotel with Laurence Olivier in attendance and Princess Elizabeth visited to take tea in 1951, two years before she was crowned Queen. There is an excellent history of Brown’s on the website, worth a read before you visit so you can appreciate the venue. The hotel, now owned by the Rocco Forte Group, quietly beams in its traditional furnishings and modern touches. A visitor of a few hours, I loved The English Tea Room, the mosaic tiled floor in reception and the impeccably clean toilets (one of the most judged and frequented rooms at any venue). But staying overnight I could have experienced one of the 115 uniquely designed rooms by Olga Polizzi, or one of the 33 suites, the spa and gym, the Donovan bar and Beck at Brown’s, a restaurant run by Heinz Beck offering Italian classics. There is a lot behind these exquisite walls and worth exploring all parts of it. While we sat back and pondered on which corner Miss Marple’s danger lurked behind, the desserts arrived. Peach and Verbena gateau had such nice flavours of ginger and lemongrass with a lovely crunchy base. I could have eaten handfuls of the Orelys chocolate tart with spiced pineapple and the cassis and hibiscus macaron was lovely, light and not too sweet. The very last bit of space in my tummy was filled with a shared slice of Victoria sponge. I could hardly believe it when I bit into the strawberry to taste white chocolate, the chef totally fooled me in the best of ways! The trouble with this hotel is that I didn’t want to leave. I was comfortable, warm, full – like the scones, I was just right. I can’t imagine how hard it would be to leave after an overnight stay. And I can confirm that Agatha Christie was wrong on one thing about the hotel that inspired her novel – there is no danger lurking behind the corners. Over 20 teas including black teas, oolong teas, green teas, white teas, herbal infusions and a fruit and floral premium range. Brown’s Seasonal Tea Library is the Chinese tea ceremony Gong Fu and ritualises the presentation of the tea. This is available for a £5 supplement. Dress code is smart casual. Tables will be available for 90 minutes. 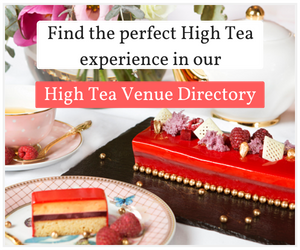 in our High Tea Venue Directory. 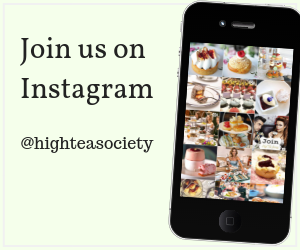 Claire loves eating and baking cake so is always delighted to contribute to High Tea Society. 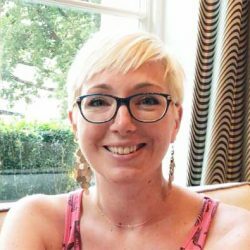 When not satisfying her sweet tooth, Claire works in communications for a heritage and environment charity in the UK, spending regular evenings experiencing London's west end and fringe theatre. With a background in the dramatic arts, Claire enjoys the theatre of high tea and seeking out unusual tasty experiences.